Marriott Serving Up Floats for Kids – Marriott International, Inc.
Marriott International traces its beginnings to a humble root beer stand opened by J. Willard and Alice Marriott in the early 1900s. 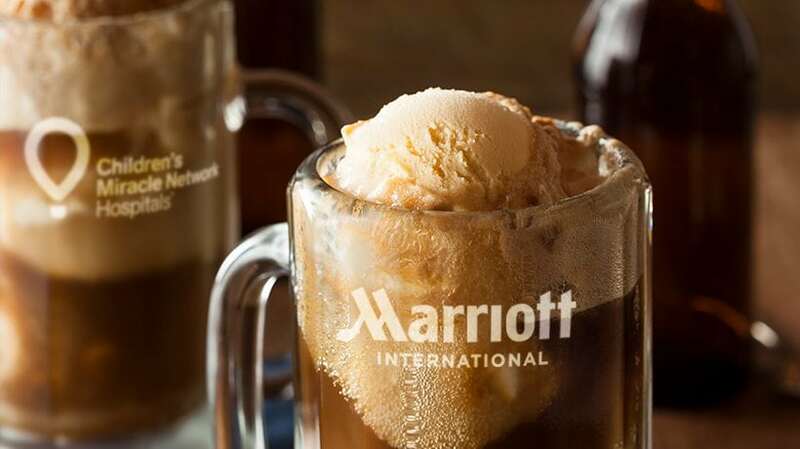 As a nod to this heritage and in recognition of the company’s support of Children’s Miracle Network Hospitals for nearly 35 years, Marriott International is once again hosting its annual Root Beer Float Day. Throughout the week of August 6, Marriott properties across the U.S. and Canada will offer root beer floats to guests in exchange for a donation to the Children’s Miracle Network Hospital in the local market. In addition, Marriott will also host a Root Beer Float Day event at the company’s headquarters in Bethesda, MD. Guest “scoopers” include Marriott executives, Miss America 2017 Savvy Shields and a Miracle Family from the local CMN Hospital, Children’s National Health System. Headquarters associates will donate to Children’s National in exchange for a root beer float. Washington, D.C.-area residents should also be on the look out for the Marriott #FloatsForKids ice cream truck which will be selling root beer floats at Marriott locations in Maryland, and Washington, D.C. during the week of Aug. 6. The truck will also make a special stop to hand out floats to the patients and staff at Children’s National on Aug. 8. Fantastic I work for the most generous company in the whole world Marriott rocks!!! Love it! It is a wonderful thing to do. Thanks Marriott for always putting people (host & community) first! I love this! Great talking piece with the guests as well. Do we have any collateral we can use for an insert menu? What a tasty idea. Thank you for the 35 years of taking care of our community and kids. By far Marriott you are definitely on top when it comes to humanitarianism. I am so blessed working for a company such as yours. You truly are the stars! !